Kansas Secretary of State Kris Kobach says Kansas has become both a destination and passage state for illegal immigration. Kobach spoke Tuesday evening at the University of Kansas. Hundreds of protesters gathered outside the building where Kobach spoke. The protesters, including members of the Lawrence Action Network for Diversity, held signs and chanted. immigration issues, illegal immigrants are attracted to Kansas. 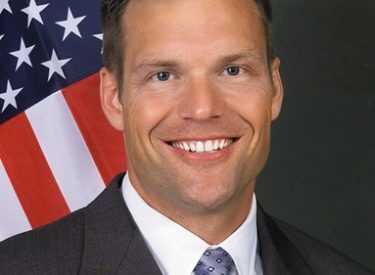 Kobach estimated there are about 70,000 illegal immigrants in Kansas and said it’s a serious issue that’s far from over.